Chlorella is a freshwater algae found abundantly over the world. Chlorella is among the specied of algae that contains the largest amount of chlorophyll when compared to any plant on Earth. Chlorella contains in itself, all of the amino acids that are essential for the body, along with a high concentration of essential fatty acids and other nutrients. 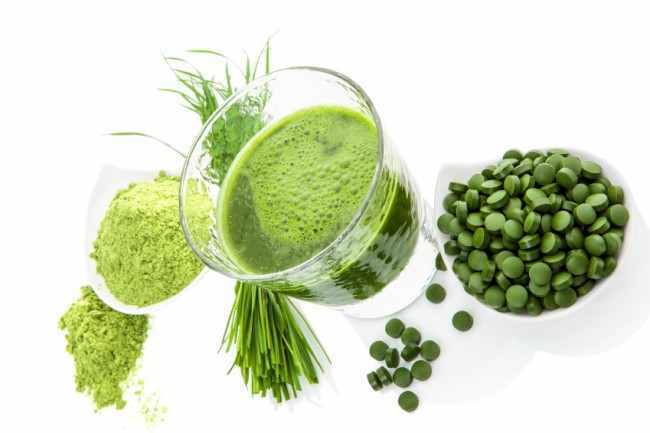 The vitamins and minerals that can be found in chlorella include potassium, folic acid, calcium, the B vitamin complex, magnesium, vitamin C, vitamin E, vitamin E, phosphorous, and many more. What can Chlorella do for fat burning? Chlorella is an all-natural supplement boosting your energy and supports fat loss and helps detox your body by removing heavy metals like lead and mercury. Chlorella promotes weight loss in several different ways. It is super low in calories but forms a nutritionally complete food and ingesting it dramatically reduces food cravings. Hunger craving are nothings but our bodies wanting the nourishment we need but can’t get due to poor nutrition or diet. Also, as we replace nutritionally empty foods with a powerful Superfood like chlorella, our cravings are greatly reduced as the body begins to receive the nutrition it requires. As we grow older, it becomes more and more difficult to lose weight. In a detailed study published in the Journal of Medicinal Food, researchers have stated, “Chlorella intake demonstrated noticeable reductions in body fat percentage, serum total cholesterol, and fasting blood glucose levels”. Chlorella also benefits you in the following ways; by helping to regulate hormones, improving circulation helping with metabolism, and promoting higher levels of energy. It also helps to reduce weight and body fat, and removes stored toxins. 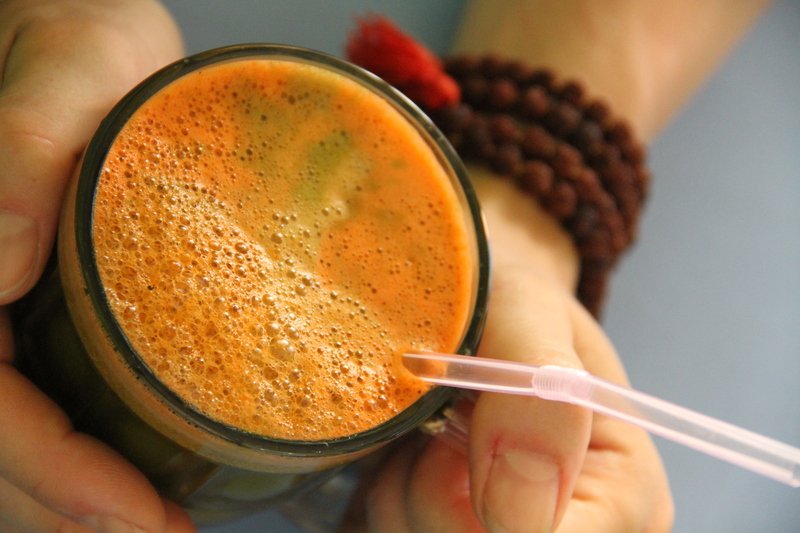 As our bodies lose weight, toxins are released from the cells which can be reabsorbed. This is highly dangerous and it is important to flush these toxins out of our system as soon as possible. Chlorella’s ability to surround the resident heavy metals and toxins within our bodies helps prevent reabsorption and facilitate elimination. One of the quickest and easiest methods of consuming Chlorella is to consume it as part of a juice diet. Best way to use Chlorella is juicing!!! While consuming the juice of greens is great option, it is simply far too time consuming for people to invest time and effort. However, most green leafy vegetables pale in comparison to the amount of health benefits that superfoods like Chlorella can provide. Juice all the ingredients and stir in the chlorella powder. You can optionally add a dash of lime for the citrusy zing and garnish with a mint leaf too. Chlorella is considered to be a blood builder, helping to remove excess fat, toxins and other toxic substances from the body. Chlorella is considered to be a powerful anti-aging and fat-burning. Consumption of Chlorella greatly improves the condition of skin. Chlorella, though small, is an amazing package of complete, wholesome nutrition, given that it is such a simple life form, and is often referred to as nature’s multivitamin. Quite honestly, chlorella’s nutrients are undeniable. So, make this juice today for an easy, simple and quick fat-burning, energy building, mood enhancing, bursting-with-nutrition superfood! Jarin Mariea, a fellow freelance copywriter who is a licensed physical therapist and has a keen interest in health and well-being. She holds an MSc in Applying Physiotherapy from Sheffield Hallam University, UK. ).